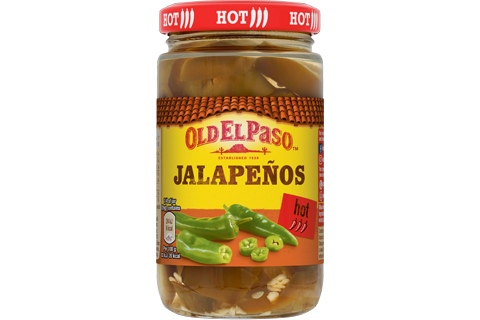 Firstly combine the Red Tomato and Pepper Seasoning Mix to the sliced chicken breast in a mixing bowl until chicken is evenly coated. Turn on the hob to a medium heat and add oil to your pan and when hot then add your seasoned chicken. Cook the chicken for approx. 8 minutes or until browned on the outside and cooked through. Then remove the chicken and pan from the heat and leave to the side for a few minutes. 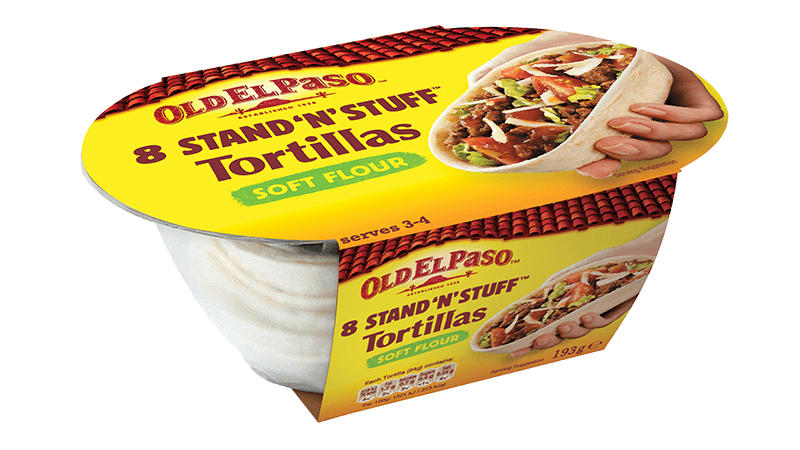 You can now heat the Stand 'n' Stuff™ Soft Tortillas in a preheated oven for 7-9 minutes on 165ºC on a baking sheet, loosely covering the soft taco’s in foil or you can heat in a microwave on full power for about 30 seconds. 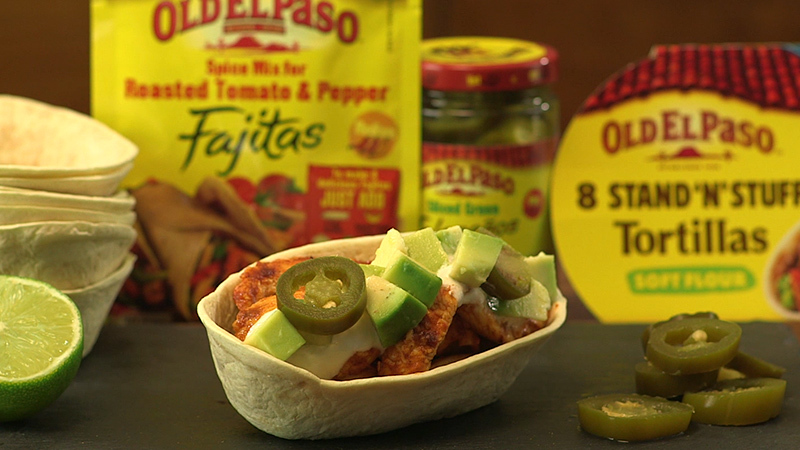 Lastly you can fill your heated Tacos with the Seasoned Chicken, the Jalapenos and Avocado and top with sour cream and a squeeze of lime or your favourite toppings. Then dig in!